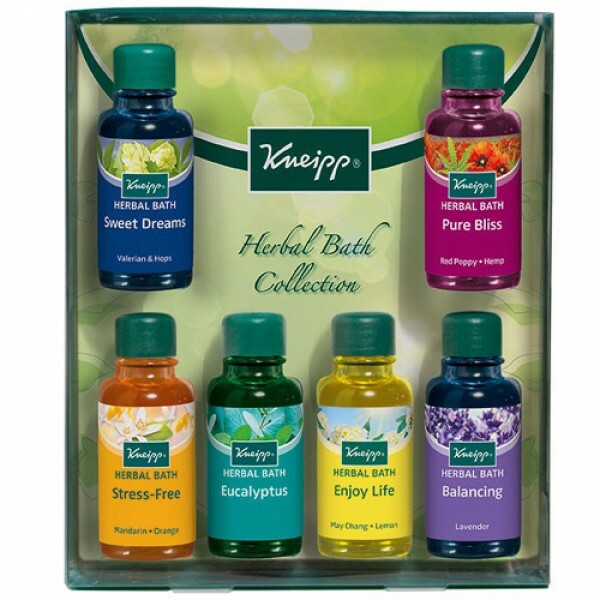 Kneipp Herbal Bath Collection is the perfect gift and contains handy travel sizes of the most popular Kneipp herbal baths, in one beautiful set. Perfect as a gift or for travel. Each bottle contains enough for 2 baths. Eucalyptus: Polysorbate 20, Eucalyptus Globulus Leaf Oil, Aqua (Water), Limonene, Tocopherol, CI 19140 (Yellow 5), CI 42090 (Blue 1). Lavender: Polysorbate 20, Aqua (Water), Linalool, Parfum* (Fragrance), Eucalyptus Globulus Leaf Oil, Camphor, Lavandula Hybrida Oil, Limonene, Coumarin, Citronellol, Geraniol, Tocopherol, CI 42090 (Blue 1). Valerian & Hops: Polysorbate 20, Aqua (Water), Cymbopogon Nardus (Citronella) Oil, Citronellol, Parfum* (Fragrance), Geraniol, Humulus Lupulus Cone (Hops) Extract, Valeriana Officinalis Root Oil, Eucalyptus Globulus Leaf Oil, Lavandula Hybrida Oil, Camphor, Eugenol, Limonene, Linalool, Citral, Tocopherol, CI 42090 (Blue 1). Pure Bliss: Polysorbate 20, Aqua (Water), Glycerin, Parfum* (Fragrance), Cannabis Sativa Seed Oil, Papaver Orientale (Poppy) Seed Oil, Citrus Nobilis (Mandarin Orange) Peel Oil, Citrus Aurantium Bergamia (Bergamot) Fruit Oil, Olibanum, Limonene, Geraniol, Linalool, Coumarin, Alpha-Isomethyl Ionone, Citronellol, Tocopherol, CI 16035 (Red 40), CI 42090 (Blue 1). 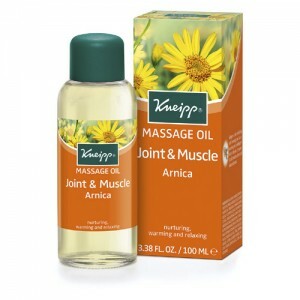 Back Comfort: Polysorbate 20, aqua (water), glycerin, parfum (fragance), harpagophytum procumbens root extract, malaleuca leucadendron cajeputoil, citrus medica limonum (lemon) peel oil, pogostemon cablin oil, mentha arvensis leaf extract, lavandula hybrida oil, limonene, geraniol, benzyl salicylate, butylphenyl methylpropional, eugenol, citronellol, linalool, benzyl benzoate, coumarin, citral, cinnamal, citric acid, tocopherol, ci 16255, ci 42090. Enjoy Life: Polysorbate 20, Aqua (Water), Glycerin, Limonene, Citral, Helianthus Annuus (Sunflower) Seed Oil, Litsea Cubeba Fruit Oil, Citrus Medica Limonum (Lemon) Peel Oil, Cymbopogon Nardus (Citronella) Oil, Citronellol, Geraniol, Linalool, Parfum (Fragrance), Tocopherol, Ci 47005 (Yellow 10), Ci 19140 (Yellow 5).